The EuroMini ZiZZO Via and ZiZZO Campo Lightweight 20” 7-Speed Folding Bikes are impressive bikes for such a low price. 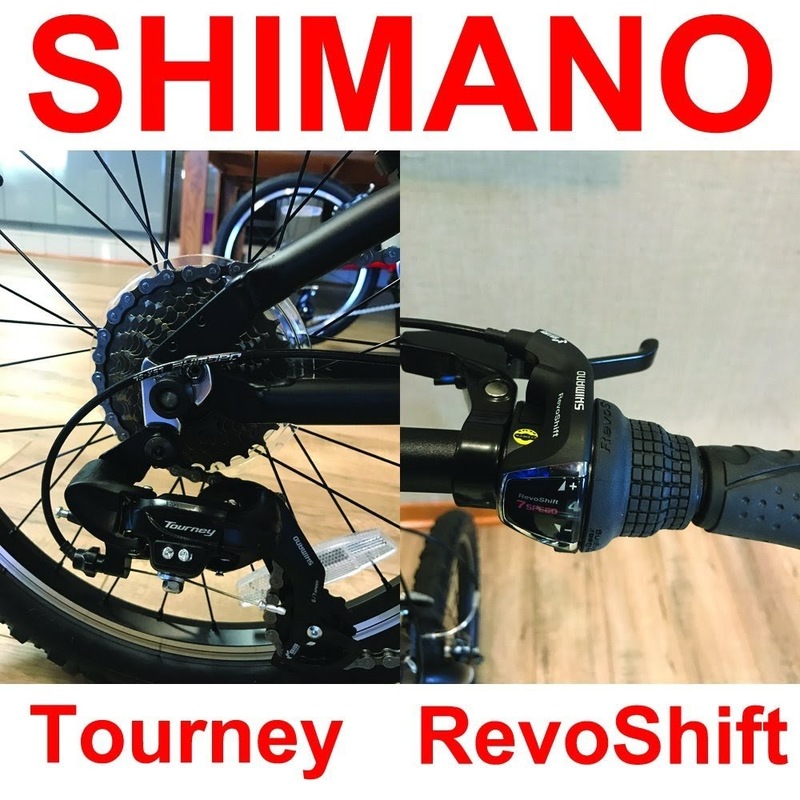 They are sturdily built to provide a smooth stable ride, utilize durable and trusted Shimano components, yet are easy to handle and fold for multi-mode travelling /storage with their lightweight design. Obviously you pay more for the EuroMini ZiZZO Via with its extra features so you have to decide whether they are important to you or not. 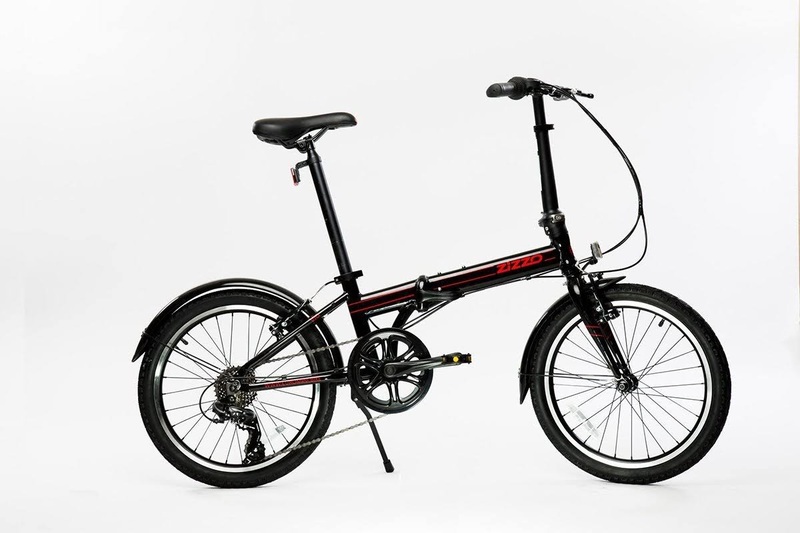 Designed for light trails and road riding, the EuroMini ZiZZO Via and Campo Folding Bikes both offer hybrid/mid-range gearing with 7-speeds which is enough to tackle flats and hills. Both bikes are fitted with a Shimano Tourney 7-speed rear derailleur and Shimano Revo 7-speed grip shifter. Not only does the frame fold on both the EuroMini ZiZZO Via and Campo Bikes, but the stem folds too for compact storage, making it easy to take onto public transport, store in the trunk of your car, or in your home/office. Both the Via and Campo fold down to approx. 27” high x 12.5” wide x 31” long. 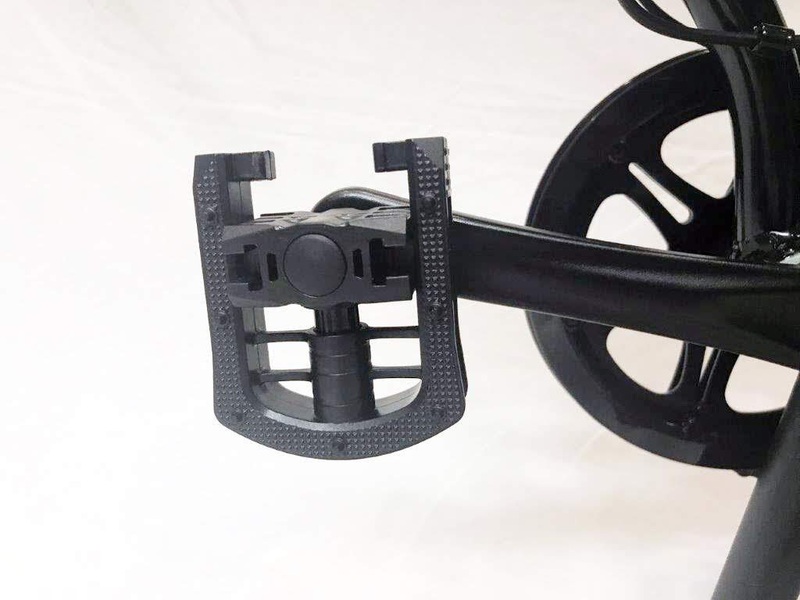 For safety, the stem on both bikes is fitted with a safety lock lever to ensure that the stem does not fold while you’re riding. 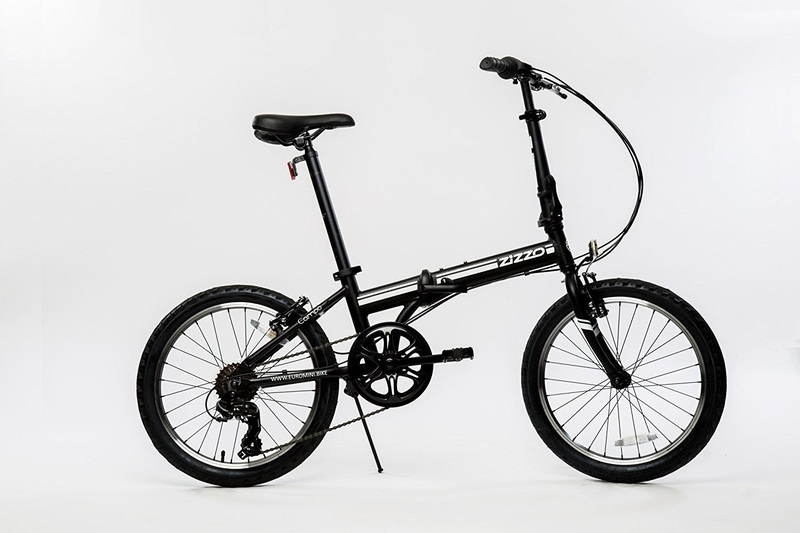 Both the EuroMini ZiZZO Via and Campo Folding Bikes come with 20” tires and V-style brakes. 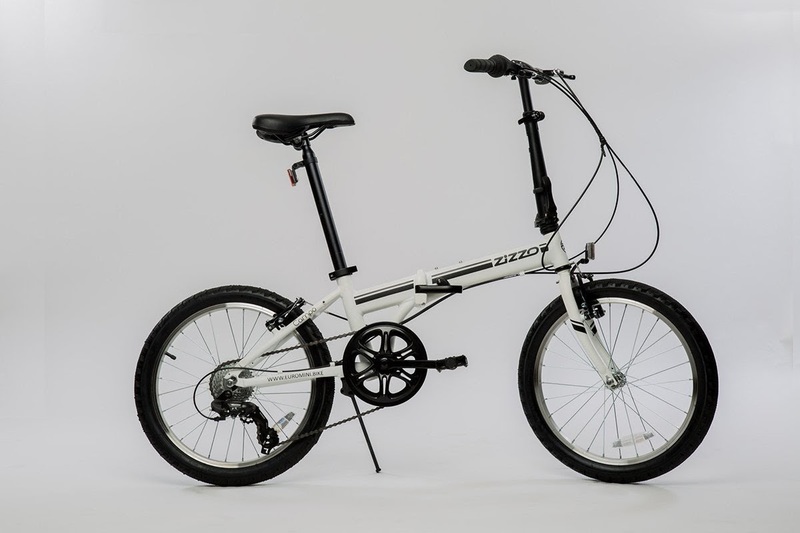 The ZiZZO Via and Campo come with an ergonomic EuroMini saddle and the seatpost and stem are both height adjustable making these folding bikes suitable for a range of rider heights from 4ft 8” tall up to 6ft 3” tall. 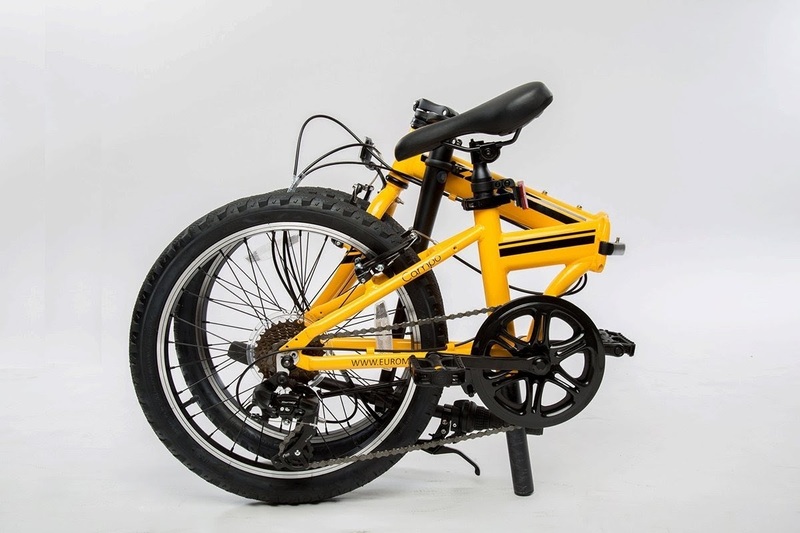 Both bikes are sturdily built, allowing for a maximum user weight capacity of up to 240 lbs. Both bikes come with a kickstand and reflectors as standard. Although they don’t come with a rear cargo rack or bottle holder, both bikes have screw-holes to attach these items if you want them. The saddle and pedals on both bikes can easily be swapped out for ones of your own choice too if you prefer. The EuroMini ZiZZO Via and Campo are available in a range of different eye-catching colors: the Via is available in black or sky blue, while the Campo is available in yellow, black or white. 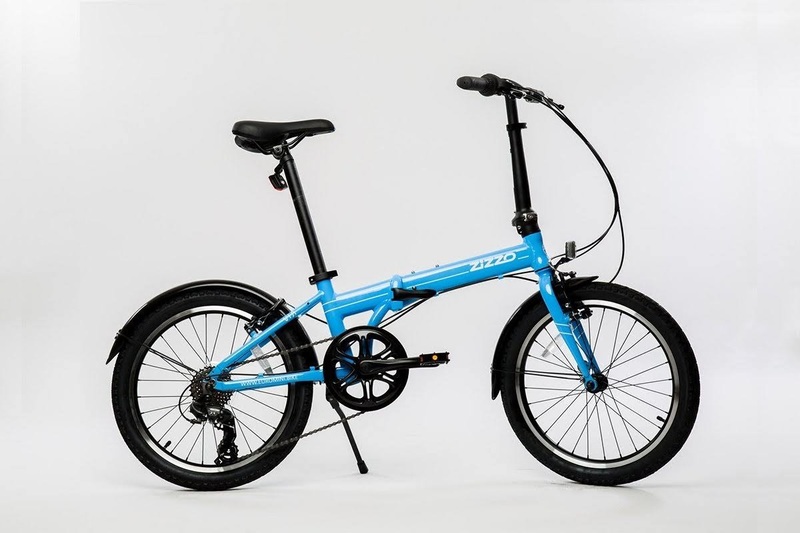 Both the EuroMini ZiZZO Via and Campo Folding Bikes comes with a lifetime warranty on the frame for as long as you own the bike. Motivational tip: Just a 30 minute cycle ride could burn approx. between 207 and 345 calories for women or between 252 and 520 calories for men, depending on the intensity of the cycling. · Remember to adjust the height of handlebars/seat to suit! 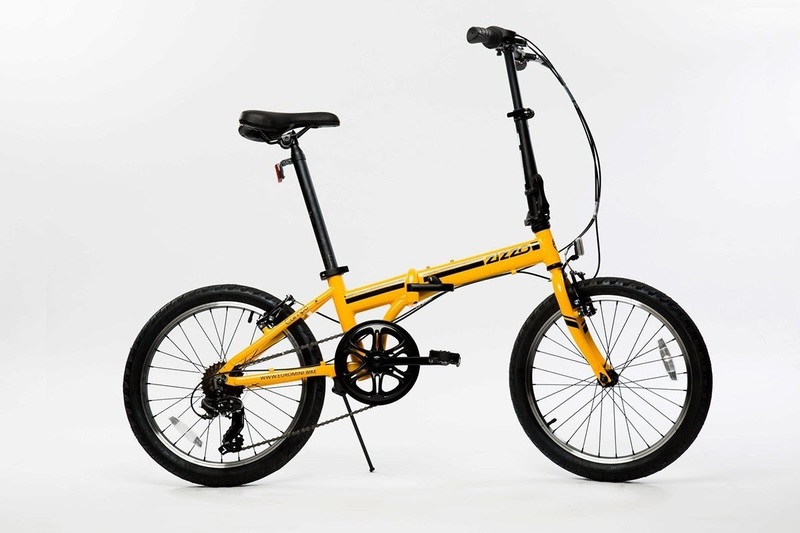 Both the EuroMini ZiZZO Via and Campo are high-quality well-designed folding bikes that are not only a joy to ride, but are light and easy enough to fold in seconds for easy transportation/storage. 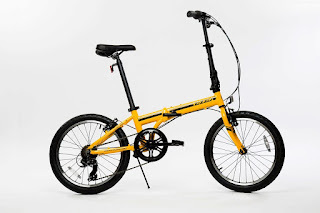 Both bikes offer great value for money and rival some of the folding bikes in the higher more expensive categories. The Via is well-worth the extra $$s for its upgraded design/features but if you’re not bothered about these additional features then the Campo is still a very good bike and will save you some hard earned $$s!